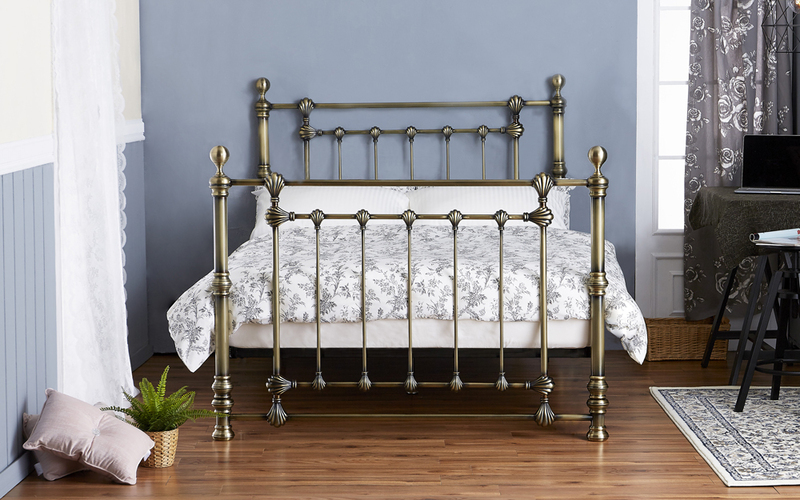 The Victoria Antique Brass Bed Frame is constructed from sturdy steel and finished in Antique Brass. The Victoria cleverly mixes traditional style with a contemporary finish for a beautiful focal point for your bedroom. Supporting the mattress is a comfortable sprung slatted base, to offer cushioned support and improved air circulation for your mattress. Enjoy Free Next Day Delivery if you order before 12.30pm. When in stock, you can receive this product the very next day when you order before 12:30pm. Easy to assemble and is sturdy. The brass finish looks fake and plastic.